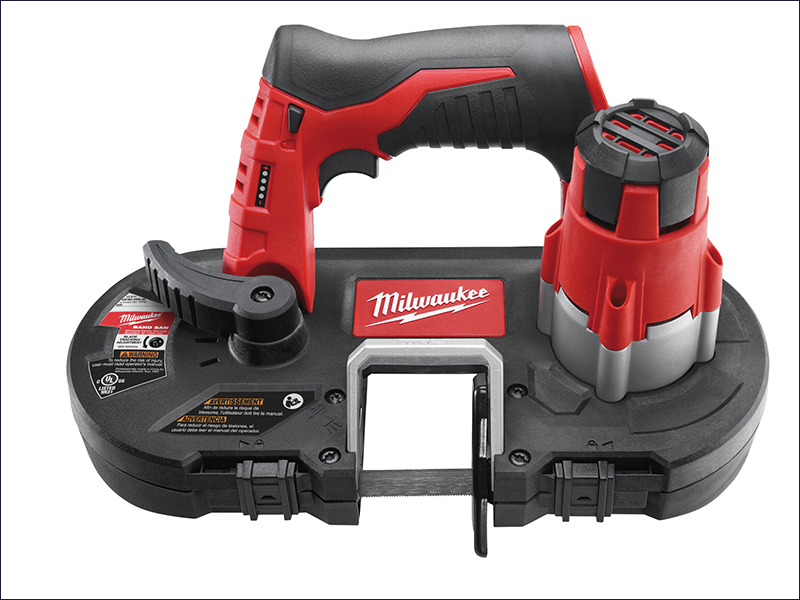 The Milwaukee M12 BS Cordless Bandsaw is compact and lightweight in design, allowing one handed tool operation. It is suitable for cutting overhead in existing installations and in tight spaces. M12™ Band Saw provides one-handed power and portability to electricians, maintenance professionals, and other users cutting small diameter materials. The bandsaw cuts a multitude of materials including steel, stainless steel, copper, plastic and aluminium. It is cold cutting, ensuring that it is spark and burr free. The fully enclosed guard system protects the user from blade contact, whilst still ensuring quick and easy blade changes. A fuel gauge displays the remaining battery charge status, whilst the built-in LED light illuminates the work surface. Max cutting capacity: 41 x 41 mm. Supplied with a 18 TPI blade. Bare unit only. Batteries and charger NOT included.